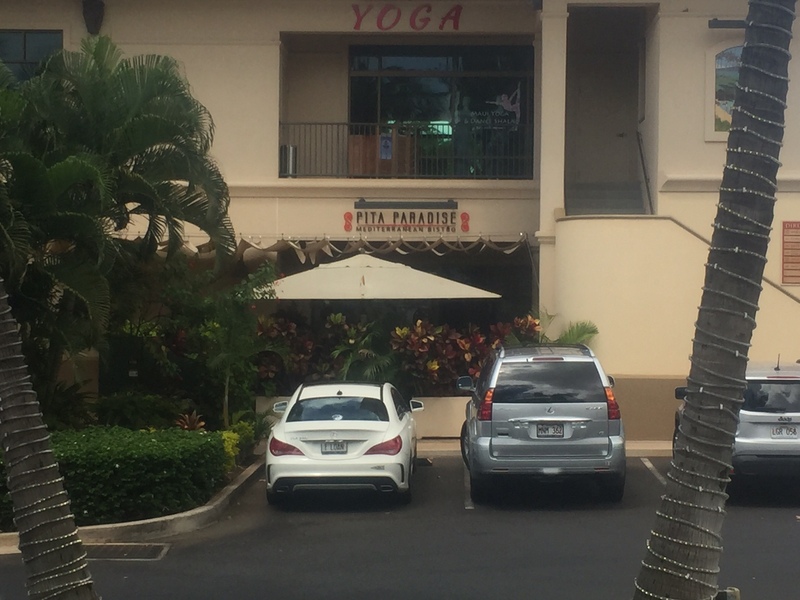 Cheap(er) Eats on Maui in Hawaii- Wailea Restaurants That Won’t Break the Bank! I’m all about the food when it comes to vacations (and, frankly, most times in my life). So, when I book my neighbor island vacation, I like to take into consideration where I can find the best food for the cheapest price. Unfortunately, most resort restaurants are quite expensive (I noticed a $19 hot dog on the menu where I stayed recently), which means going “off-campus” is often the only alternative if you want to eat well, but not break the bank. big island lobster, hamakua wild mushroom, parmesan, thyme, and a garlic white sauce. Both entrees were flavorful, fresh, delicious and affordable (around $25 each). Manoli’s Pizza Company: Manoli’s Pizza Company wins the prize for the best view of all the Wailea non-resort restaurants — you can chow down on your pizza and pasta, while gazing over the beautiful golf course below. You probably won’t find anything on the menu that is far-and-above any other Italian eatery, but the atmosphere is fun, and the prices are super-reasonable. My chicken piccata was tart and lively, and the Holy Manoli dessert was delicious. We had a fantastic, attentive server (it was her first day on the job), and she even gave us a Kamaaina (local) discount! One place we didn't hit was Pita Paradise, which features Greek food. We have it on our list for next time! Tommy Bahama: Located at the Shops at Wailea, Tommy Bahama is a cool, local restaurant that features fresh ingredients prepared in an upscale (but not overly-pricey) way. So, it’s right up my alley. Opt for patio dining if you want to enjoy the sunset and live music or stay indoors for the air conditioning. While we were there, we noticed large parties had booked the patio, so make sure you call ahead to ensure there’s room. As for the food, I would come back again and again just for the Macadamia Crusted Goat Cheese appetizer, which features Mango Salsa, Sweet Soy, and Flatbread. For my entree, I opted for the Thai Shrimp & Scallops with Lemongrass, Coconut Curry Reduction, and Almond Rice — they were nice enough to subsitute more shrimp instead of scallops. It was succulent and delicious, and only $35. Sure, that may seem a bit pricey, but compared to resort prices, this is quite a discount. Longhi’s: I’ll admit we didn’t try Longhi’s in Wailea during our stay, but I’ve heard enough good things about it to at least pass on the information. Located at the Shops at Wailea, Longhi’s features Italian and Hawaiian food that’s as local as you’ll find here in Hawaii. Prices are moderate, meaning it’s hardly considered cheap food, but it won’t drain your bank account either. The restaurant even features a family style menu, if your table can agree on what kind of food to order. You’ll see Veal Scallopini, Shrimp and Scallops Arrabiata, and Fresh Salmon Mediterranean all on the same dinner menu. Matteo's Osteria was a pleasant surprise for our first night in Wailea. I especially liked that the Children's Menu features more than just pizza. 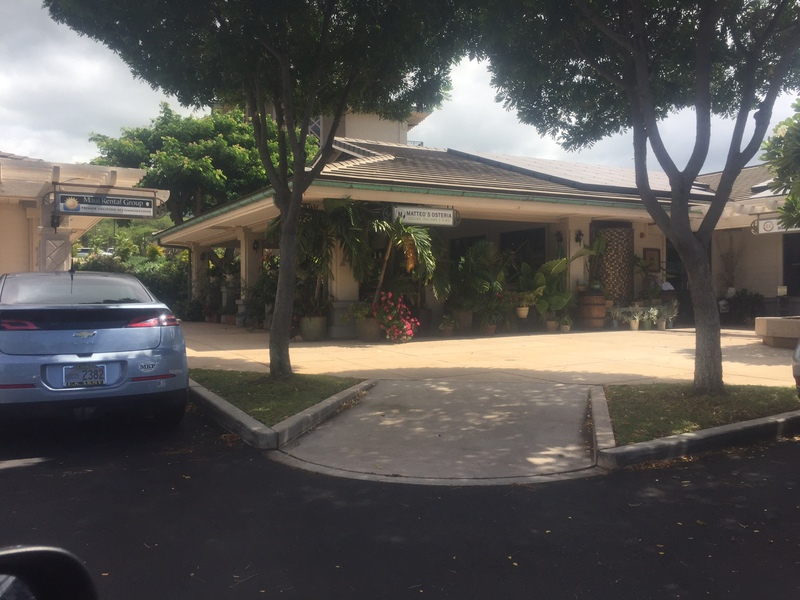 Matteo’s Osteria: What I especially liked about Matteo’s was the fact they offered home-made pastas, which is unusual and quite a surprise in Hawaii. We visited Matteo’s Osteria on our first night, and we were pleasantly surprised at the ambiance and price-point. I opted for a charming Pasta Bolognese that featured Maui Cattle Co. Beef & Italian Sausage, House Tomato Sauce, and Parmesan. The kids ordered a kid-sized Chicken Parmesan, and it was refreshing to see something other than pizza on a Children’s Menu! And, just a side-note: I would be remiss not to mention there’s even a Subway up the street for an affordable lunch. We even brought our sandwiches to the pool! As a frequent traveler who doesn’t care to spend hundreds of dollars on each meal, I’ve learned that off-resort eating can be exciting, fun, and affordable. So, take note of these non-resort Wailea restaurants, and save a buck or two on your next trip to Maui!